Manchester’s The Underground Youth is the solo project of Craig Dyer. A strong believer in DIY ethos, Dyer writes and records all of the music himself, and his creative process dines heavily on experimentation and the influence of literature, cinema and poetry. The process is clearly fruitful boasting a discography of seven LP’s and 3 EP’s, each delving into different sonic terrains within the psych landscape through psychedelia, shoegaze, blues and post-punk. 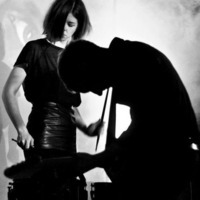 In 2012, after signing to Fuzz Club, The Underground Youth fleshed out to a full band including Dyer’s wife and celebrated artist Olya Dyer on drums, Leonard Kaage on guitar, and Max James on bass. Since then the group have been touring relentlessly, playing sold-out shows all over Europe and landing significant spots on some of Europe’s biggest psych festivals including Cosmosis, Liverpool Psych Fest and Eindhoven Psych Lab. VVK 13€ (zzgl. Gebühren) Link bald verfügbar!